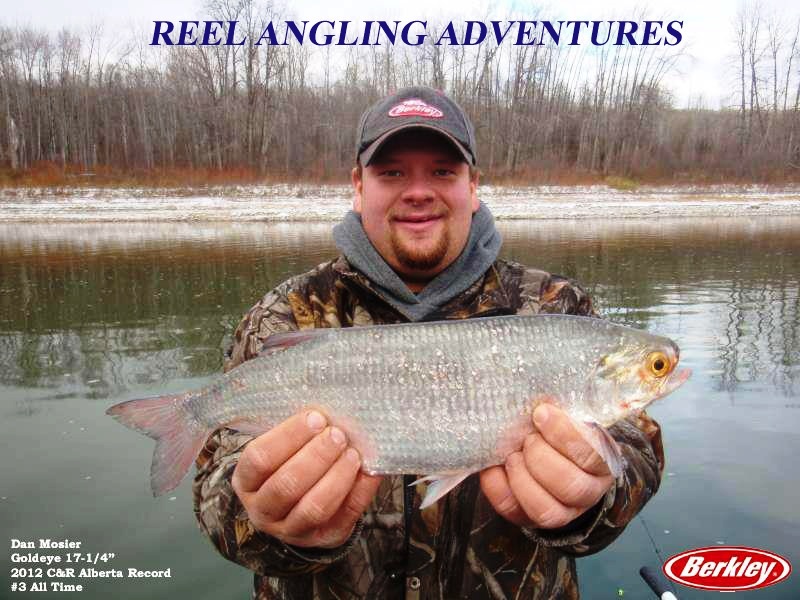 Join Reel Angling Adventures for an unforgettable all-inclusive guided fishing tour & outdoor adventure on some of Alberta's finest lakes and rivers within one to five hours of Edmonton, Alberta. 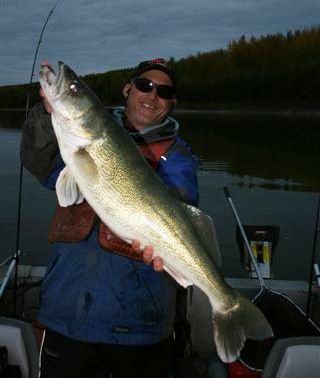 With some guided fishing tours being only 60 minutes from Edmonton, making Reel Angling your guiding service for the region. 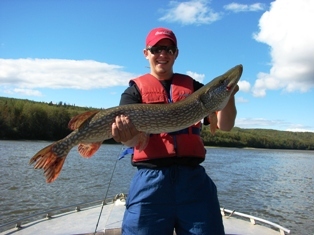 Hook onto Northern Pike, Trophy Walleye, Lake Trout, Burbot, Yellow Perch, Goldeye, or Whitefish while exploring these lakes; or enjoy a jet boat tour and guided fishing tours on the Historic Athabasca River or Calling Lake for world class Walleye fishing. The comfort, safety, and enjoyment of our clientele is our first priority! 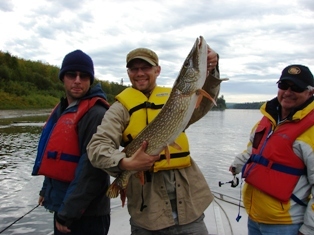 All fishing packages are fully outfitted including all fishing equipment and foul weather clothing. Lunch is provided for full day trips. We will cater to all your needs by arranging your accommodations, or transportation from Edmonton. We also offer 2-5 plus days custom fishing vacation packages. 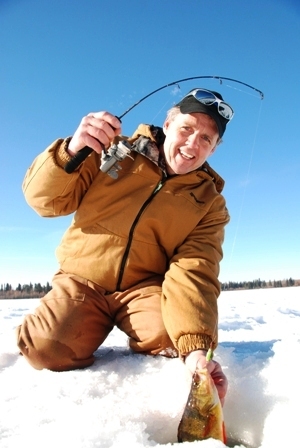 Whether summer fishing or ice fishing, Reel Angling Adventures has the guided fishing trip for you, from one day fishing excursions to multiple day fishing trips for the Athabasca & Edmonton region. 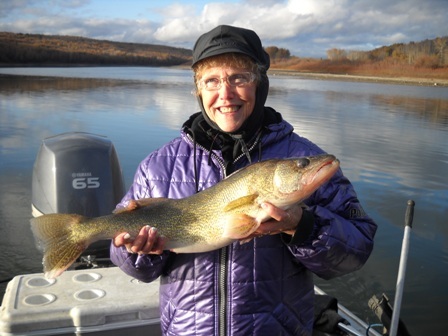 Our Guides are skilled in many forms of fishing, from lake to river, or ice fishing for the winter enthusiast. We practice catch & release on all trophy sized fish. We cater to individuals, family & group outings, small & large businesses, and corporate outings. 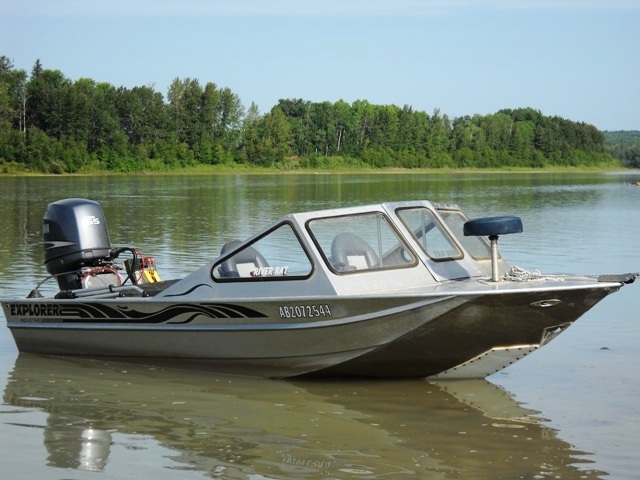 Open water season starts May 15th on most lakes in the Edmonton & Athabasca region. 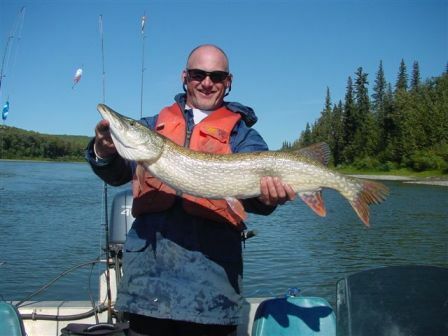 Edmonton & Athabasca Fishing Day Trips. 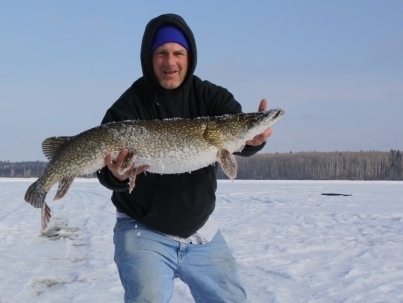 Guided Ice Fishing mid December to March 31st, pending on ice conditions. 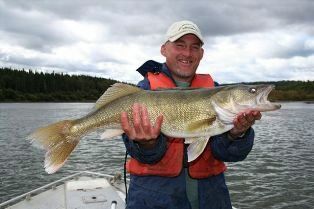 Athabasca River Guided fishing tours are from June 1st to October 31st. 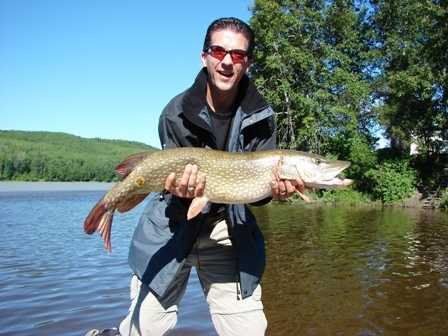 Fly Fishing welcomed for Northern Pike or Goldeye (will supply the flies & leaders upon request). 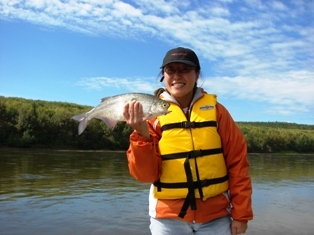 Offering overnight camping/fishing excursions on the Athabasca River - Call for more details for this exciting fishing adventure. NEW Guided Fly fishing west of Edmonton. We operate full time for your convenience. Fishing Gifts for All Occasions! 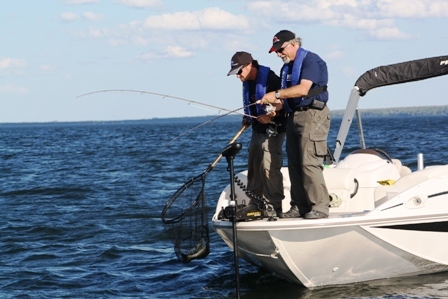 A Gift Certificate for guided fishing makes a great gift idea for that special fisherman. Athabasca River, Calling Lake, Rock Island Lake and Peerless Lake are some of the many waters we professionally guide on. Book early to reserve your guided fishing adventure! Kids 15 and younger fish for free when accompanied by two adults! Your Full Time Guide is Ray Kohlruss. 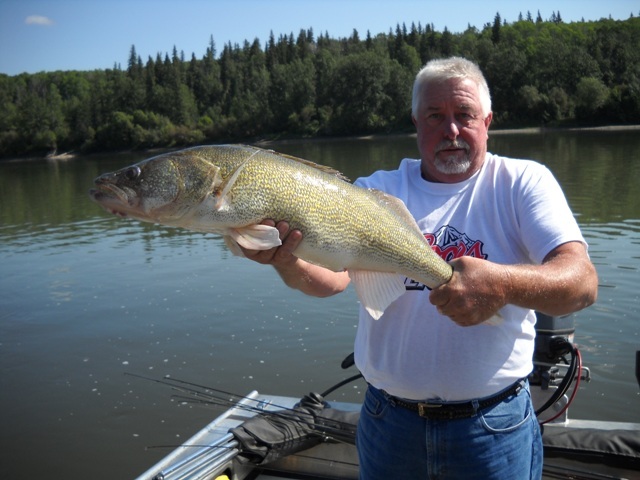 Ray has been fishing the Alberta waters ever since childhood. With over 40 years of fishing experience in the area, Ray brings his knowledge and excitement to each and every fishing trip. Ray likes to practice catch and release, and treats all the fish with great care when releasing. 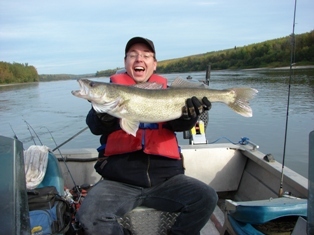 Besides being an avid angler, he also enjoys hiking, wildlife/bird watching, and being in the great outdoors. Reel Angling Adventures will offer the individual(s) a unique fishing or outdoor experience that will forever live in their memories. 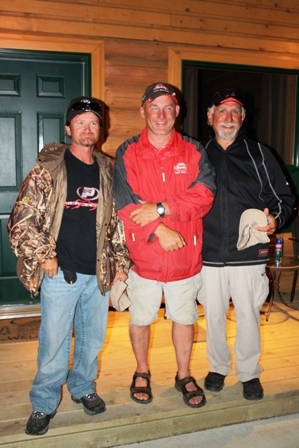 We provide service to any individual, whether a novice or an expert, who has an interest or passion for fishing. We guarantee to our guests the satisfaction of enjoying the outdoors, the thrill of catching fish, and the memory of the day. Athabasca Tourism Committee, Edmonton Tourism Partner, Travel Alberta North Board Member, St. John Ambulance First Aid Training, Remote Responder Wilderness First Aid (University of Calgary), LakeLand College Adventure Tourism, Coast Guard Approved, Service Best, Bonded & insured. "Proud to participated in the Fresh Water Angling emerit National Occupational Standards revision process with the Canadian Tourism Human Resource Council". I’ve had the good fortune to fish with Ray on a number of occasions. 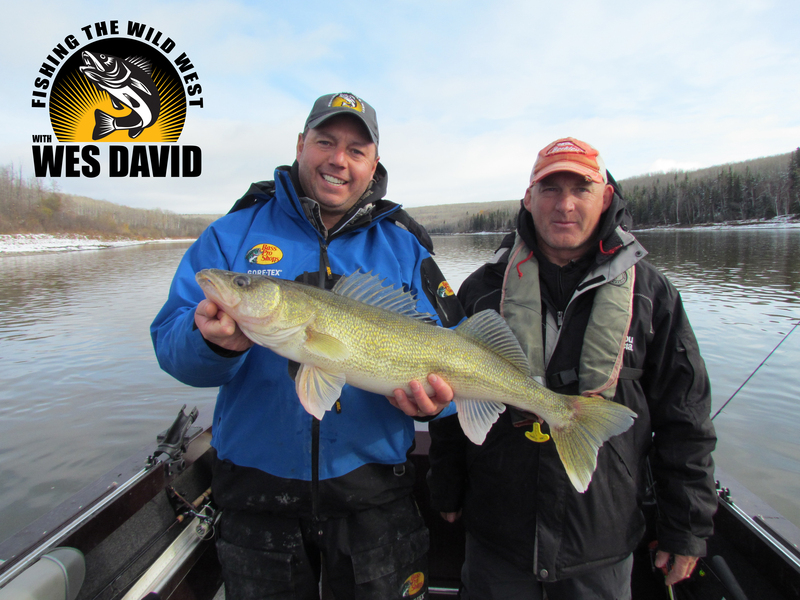 From ice fishing for perch to casting jigs for monster walleye, Ray really knows his stuff. It’s always a pleasure to fish with an angler of Ray’s calibre and it’s a pleasure I hope to share many more times in the future. If you are looking for a guide that knows his stuff and will give you 100% on the water, there’s no reason to look any further than Reel Angling Adventures. Take the guesswork out of flyfishing by learning the art with qualified professional personal instruction. Gear, casting, presentation, and flies will be covered in a manner which will ensure your success and enjoyment on the water for years to come. Our custom tailored workshops will make flyfishing a relaxing and enjoyable hobby from the beginning. Corporate packages for groups of up to 6 people can be arranged. From private morning or evening sessions to multiple day retreats, the possibilities are limitless. There has never been a better opportunity to learn all the skills you need to succeed. Benefit from decades of experience by contacting us today to start this incredible hobby. "Gift Certificates are available for any special occasion throughout the year"
"Discounts available for multiple day tours"
"Children discounts available and special rates"
There’s nothing like fishing in the fall of the year. However, I just had one of the most amazing multiple species river fishing adventures of my life with Ray Kohlruss, the owner of Reel Angling Adventures. I spent two days with Ray on the Athabasca River system fishing and catching huge walleye, burbot, goldeye, and although we didn’t target them, we could have also caught large northern pike within the Athabasca River. The trip comes with it all, great accommodations at the Super 8 only five minutes from the dock, shore lunch, quality fishing gear, and amazing river fishing. I can’t wait to get out with Ray on one of the many lakes he guides on next summer, and if I can’t wait that long I’ll book a day of ice fishing with him. When you catch the longest fish in 2018 you can WIN one of two one day guided fishing trips for two in 2019. During July and February on certain weekends.